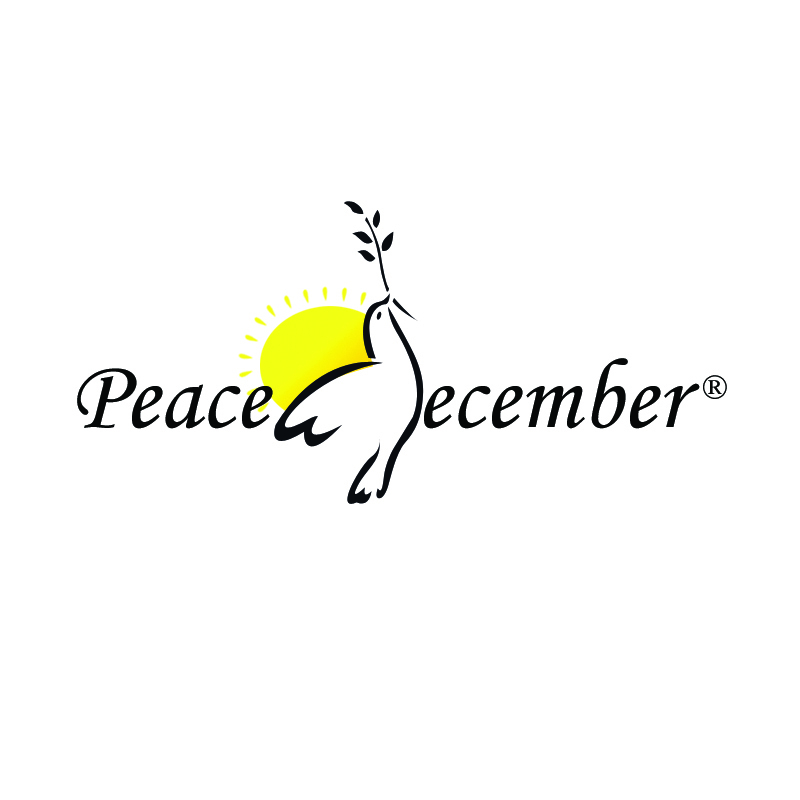 December to December Platform for Peaceful Minds and Peacemakers. To see all creatures on earth live a symbiotically peaceful coexistence. In 2010, Governor David Paterson, Mayor Michael Bloomberg, Bronx Borough President Ruben Diaz, Jr. and New York State Senator Ruth Hassell- Thompson issued proclamations to declare the month of December as Peace Month in New York City. This historic moment was hosted in the Bronx Rotunda under the auspices of a diverse cross section of elected officials from across the City, State and Federal agencies including the Mayor’s Office, Bronx Borough President Office, Bronx District Attorney, New York State Senator Ruth Hassell-Thompson, DYCD, the New York Police Department, New York City Parks, African Union Day Foundation, Bangladeshi American National Democratic Society, USA, Inc, and several other elected officials. This initiative was born out of the need to lower the crime and violence that takes place in New York City every year and to herald a call for peace, respect and responsibility. With proclamations from the governor, the mayor and series of endorsements from elected officials, government agencies, the clergy and community leaders, the momentum to celebrate December as a peace month is galvanizing diverse communities from across New York City to partner in the process. The New York Peace Coalition partnership is an embodiment of governmental and nongovernmental organizations and initiatives that include Adopt-A-Friend, Bronx Clergy Task Force, NAACP Parkchester Branch, New York Center For Conflict Dialogue, LaCrown Initiatives- It Takes A Village Inc, African Union Day Foundation, Latin America-Muslim Women Organization, Islamic Leadership School, St Ann Anti Violence Program, Vishnu Mandir Hindu Temple, The Garifuna Community, The Mayor and the Bronx Borough President Offices, Bronx District Attorney, NYS State Senator Ruth Hassell- Thompson, Kuki Ndiho Rwanda Orphans Support Project, DYCD, NYC Parks and JCRC-Cause-NY, Islamic Cultural Center of North America, just to name a few. December is the month of the winter solstice. Nights are long and, between the increased darkness and the changing social patterns that ensue from the December holidays, many communities experience increased incidents of violence, larceny, and hate crime. Many communities have traditions of bringing light to this darker time of year: candles are lit for Kwanzaa and Hanukkah, trees are decorated with lights for Christmas, and fireplaces and decorative lights are enjoyed by all. Peace December is our way of shining a more proverbial light into the darkness of winter by creating programming aimed directly at combating the darkness within our society. Instead of the darkness of violence, hatred and intolerance, we hope to promote the light of peace, respect, and diversity. Declaring December a Peace Month will not only reduce violence but create a communal sense of responsibility to focus our minds on programs that lead to peace. It is an excellent way to enter a new year. Proposed Programs during Peace December. (i) General Programmatic Landscape in Reflecting on Peace- All activities taking place in the five borough of the city in December must be commensurate with an awareness of peace. This may take different forms be it in the churches, mosques, synagogues, temples, community centers, schools, for-profit companies or law enforcement activities. This concept will not offer any guided prescription on how this will be done. It will be at the prerogative of the individual, the organizing party or any undertaking that will be doing any activity in the five boroughs of the city. (ii) Community Joint Collaborative Programs with the District Attorneys Offices and the law enforcement community. – Both the community and law enforcement agencies, the District Attorneys, the NYPD, families and community leaders will choose a day within December on which the residents will surrender their illegal guns and other weapons without questions asked. The modalities and implications that may come with this exercise may be discussed with the concerned parties ahead of December. (iii) Peaceful Roses– Renewal of vows by couples, families and committed individuals during Peace December shall strengthen bonds, rejuvenate relationships, protect family values and prevent juvenile delinquencies. It is highly recommended for families to have Peace December dinners, whereby members ask forgiveness from each other, couples exchange roses and employers celebrate harmony day. (iv) Peace Patrol– Mentors, leaders, educators, politicians, Law enforcement, volunteers, others…, set a day (s) to spend mentoring time with the youth and those susceptible to committing crimes. (vi) Peace-Media & Entertainment programming, Hollywood movies, Broadway shows, Entertainments and sports activities must all recognize Peace December. (vii) Diplomatic Diaspora Peace– Since New York is home to not only the United Nations, but also to people from all nations, UN permanent representatives holding forums and events during December dedicated to promoting peaceful coexistence among their nationals in the city would pave ways for national peaceful dialogues in their home countries. (viii) Story-sharing for peace– Sharing stories of survival, pain, abuse, injustice, actions, feelings, forgiveness and forward-planning on the side of crime victims, as well remorse, repent, repair and asking genuine forgiveness on the side of perpetrators, bring healing and closure to a crime. (ix) Preservation of Nature and Animal Life– For example the Special Prevention for the Cruelty of Animals (SPCA) in conjunction with Advocates for animals and organizations such as the Bronx Zoo may host a series of activities to raise awareness on easing human cruelty towards animals. (x) Disaster Relief and Community Development- Different groups can also focus on global disasters such as the Tsunami, Haiti Earthquake, Hurricane Katrina and other disasters that have called for peaceful coalitions to solve environmental problems. (xi) Peace Advocacy– During December, we encourage citizens to engage their elected officials in sponsoring sensible bills, despite special interest group lobbying to the contrary. Legislators must work with and allocate funds for peace and nonviolence programs in their localities. (xii) Peace December Chapters– Individuals and organizations are encouraged to open Peace December chapters in big cities worldwide. All chapter boards and membership must reflect the demographics of their respective environs. (xiii) Peace December lobby governments, corporations and individuals to allocate between three to ten percent of their income/budget for communal peaceful coexistence, Community Peace Partnerships. (xiv) Public Safety Honor Day, 1st Tuesday in December. Honoring a law enforcement from all departments, CIA, FBI, Police, DEA, Marshals, Sheriff, Secret Services, Bodyguards, Bouncers, Security Guards, Neighborhood watchers, emergency responders, 911 operators, air Traffic controllers, Public Defenders, Disaster Relief Volunteers, Charity Volunteers, etc. Monday, November 30, 2016 from 3:00PM-6:00PM. This year, entertainers will include Buddhist, Christian, Hindu, Jewish and Islamic Faith, among others. i) Enhance strategic awareness in crime reductions. ii) Promote peace and reduce homicides and other domestic violence cases. iii) Inspire inter agency and inter community coalitions that will cross fertilize ideas in the quest to eradicate crime in the city. iv) Foster the voice of faith based houses in crime reduction. v) Facilitate experience sharing experiences from families and communities. vi) Clergies of all faith to dedicate all their sermons in December to Peace & nonviolence. Proposed Bill to install peace awareness week in New York Public Schools. New York City continues to be susceptible to gun violence, hate crime, domestic violence and intolerance. In 2010, the New York Peace Coalition, a coalition of representatives from houses of worship, elected officials, schools, civil society, community and business leaders came together for a historic installation of Peace December at the offices of the Borough President in the Bronx County. The initiative was endorsed, supported and welcomed by all the elected officials including Governor David Paterson, Mayor Michael Bloomberg and Senator Ruth-Hassel Thompson. Pursuant to the momentum that the Peace December initiative has generated, the New York Peace Coalition, through our elected official proposes a Bill to install a peace awareness week in the New York Public Schools. During this week, we ask businesses, academics and people of goodwill to partner with the New York State and City legislative processes to assume conversations in creating endowments and funds through which teachers and parents will spend time in enriching students and the community during the awareness week as proposed herein. Sponsor a community/elected officials/public schools planning caucuses to put together key benchmarks for operational of this initiative. Besides the Department of Education, identify the State and City auspices under which peace awareness week shall be installed. Participation: Should you want your organization or community to participate, please contact us so we can include your events in Peace December Events Calendar. Endorsements: Elected officials to endorse Peace December with Proclamations and sponsoring peace event in their respective districts. Is it open to the public? ____ Yes. ____No. Is it free of charge? _____ Yes. _____ No. Submit this application to: New York Peace Coalition, c/o Peace December. 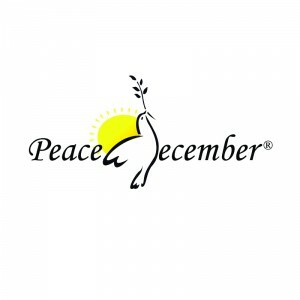 Thank you for making Peace December a successful nonviolence month. Crimes and violence are not inevitable. Together, we can prevent them!